Hello, fellow stitchers and aspiring stitchers! 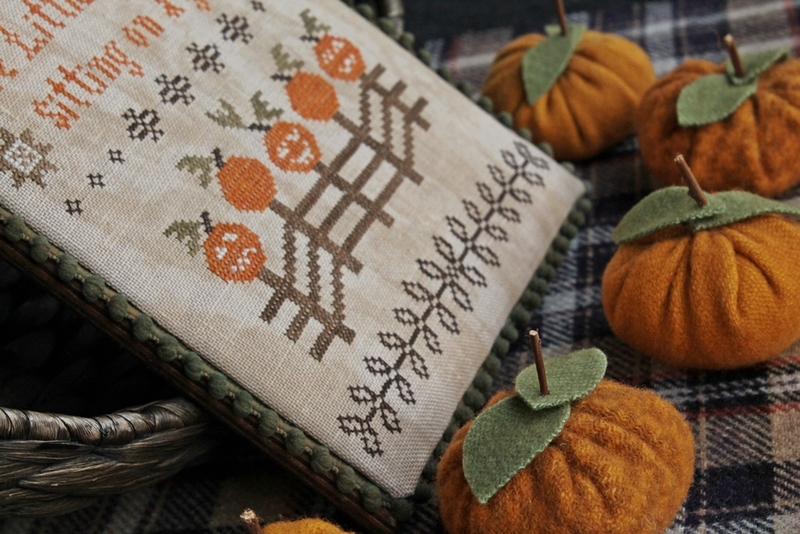 I have stumbled upon a lovely Autumn/Halloween stitchery donated generously by our friends at Plum Street Samplers. I absolutely love it and it’s not so big as to be overwhelming. 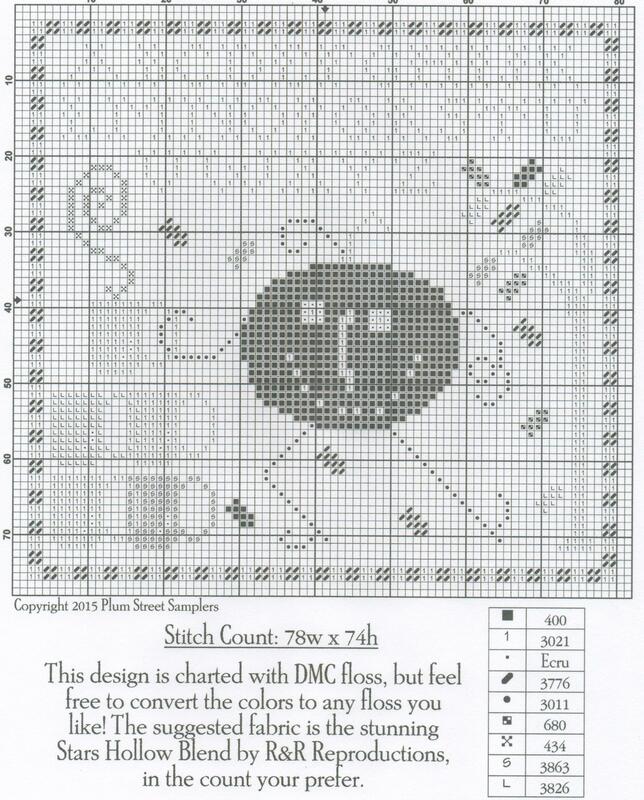 I am including a picture of the finished design in the header and below as well as the chart and suggested thread colors. Keep in mind, these colors are only suggestions by the designer. Use your imagination and put YOUR individual touches to it. Change it up a little by substituting thread colors, etc. So, tell me. What would you like to see next? Do you want more fall/Halloween projects or would you prefer Christmas projects to allow plenty of time to complete them? I have the luxury of not working and have a lot of time to stitch, but I am aware that many of you don’t have that luxury. I want to provide meaningful projects that you will utilize. Sooooooo, I need some feedback. Just drop a quick line in the comments section of this blog and I will follow your lead. So, until next time, be kind to each other. When I’m Worried and I Can’t Sleep, I Count My Blessings Instead of Sheep…..
Hello, my friends. I had an absolutely wonderful holiday with family. As a finale to the evening, we took the boat out to watch the glorious fireworks from the water. Spectacular! The beautiful white on white embroidery you see in the picture above is called Hardanger embroidery. It is truly stunning and is on my short list of ‘things to learn’. This type of needle art is very popular in the Nordic countries and many of their native costumes utilize hardanger embroidery. I bring all this up because you know how I am when it comes to having your needle work area organized. 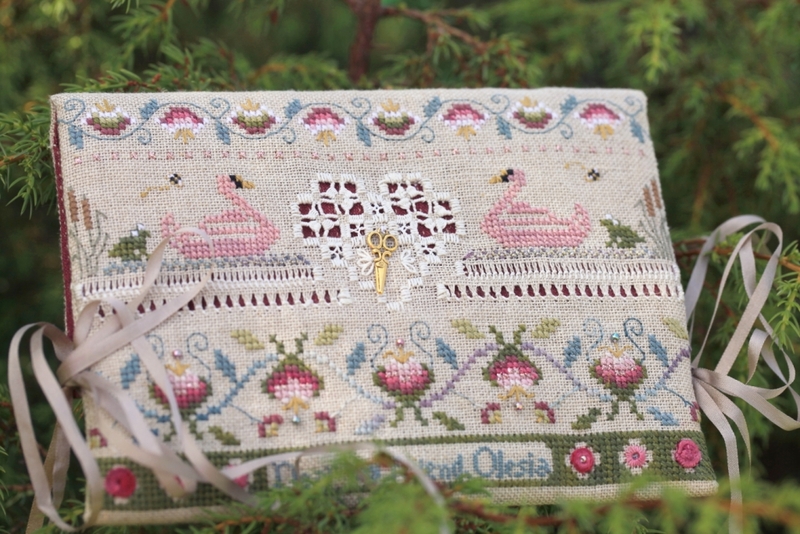 I found this beautiful pinkeep stitched by one of our peers from Russia and was just in awe. I think it is absolutely stunning. AND she is using harganger embroidery on it. So, what say, you? Think we should give it a try? 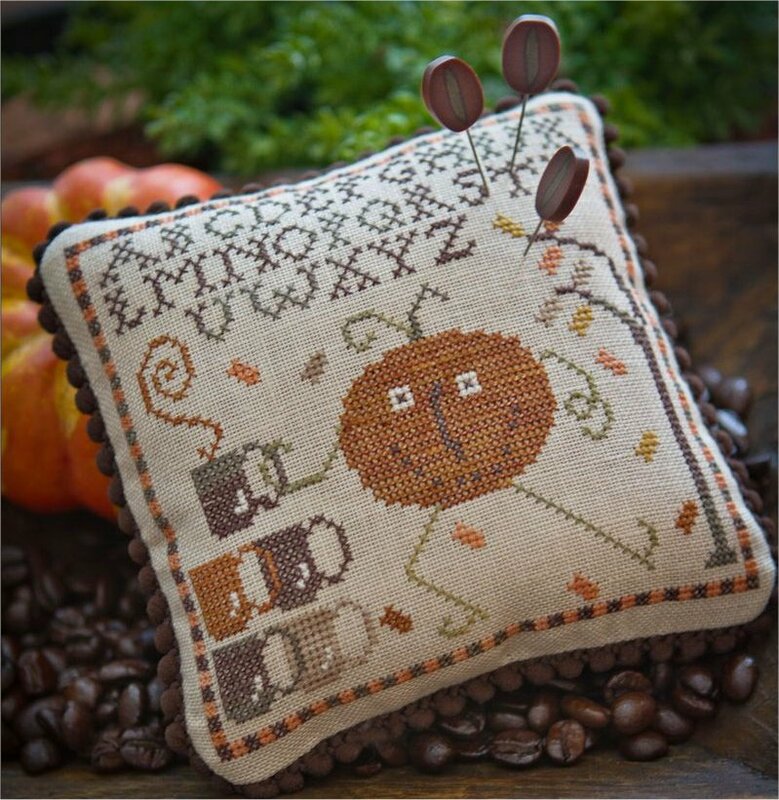 I also have another free pattern for you from Niky’sCreations. This is called July Sheep. It will stitch up quickly and will enhance any summer decor. Niky has not added any thread suggestions so use your imagination. (Remember, right click on chart, copy, then paste in another window) So, have fun and, until next time, be kind to each other.